Ask Men.com Top 25 Summer Cars. 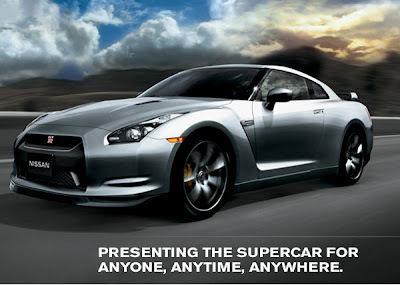 Ask Men.com ranks the Nissan GT-R as the #1 Babe Magnet . I don't think whoever ranked these cars has actually spent anytime with Nissan GT-R's. If they had spent any time with one, they would realize its actually the opposite. Great guy magnet. Probably perfect for ugly women or gay men. Just like the older GT-R's. Its a mans car for men secure in their manhood. Ah, yeah. If you need a car to pick up women, maybe you really should rethink more than your car.